If you've been on the internet before you've probably seen the gorgeous poster work of British artist Jock. 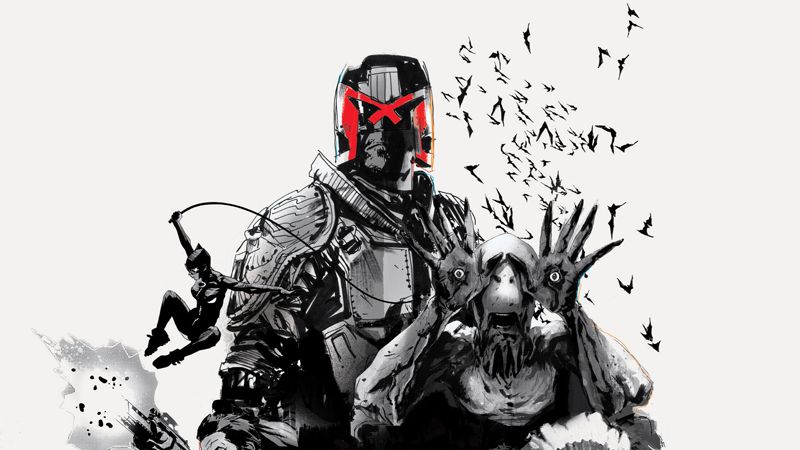 Or maybe you've seen it in comic series like The Losers, Wytches, or his work on Batman and Judge Dredd. Now the artist is releasing a whole book filled with his amazing work, and we've got a sneak peek. Collecting insight from the artist (real name Mark Simpson) alongside samples of both his unpublished sketches and published art, The Art of Jock is a celebration of the artist's vivid style, in partnership with Mondo — where many of his poster tributes to pop culture history have been released — and Insight Editions. 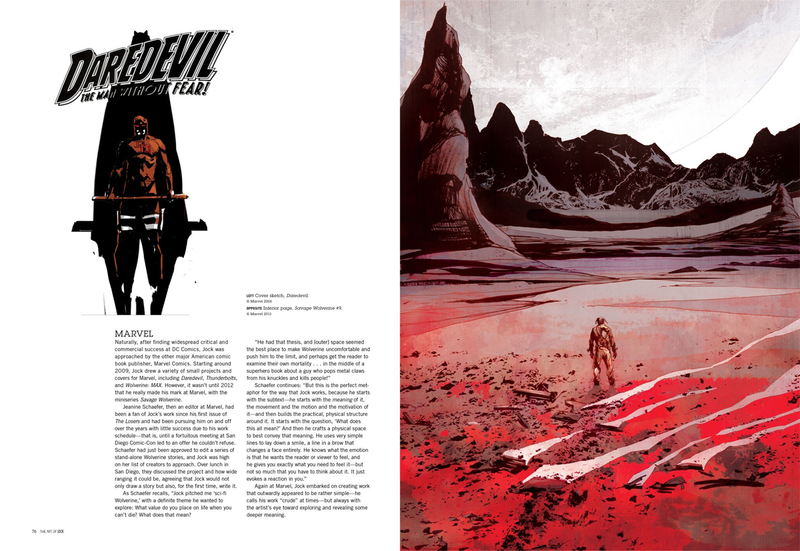 A sample spread from inside The Art of Jock. Photo provided by Insight Editions from The Art of Jock. © Mondo Tees, LLC 2016. All rights reserved. The book also includes samples of early sketch ideas for some of his art, as well as commentary from frequent collaborators such as Scott Snyder and Alex Garland. Check out a few of the incredible pieces inside the book. 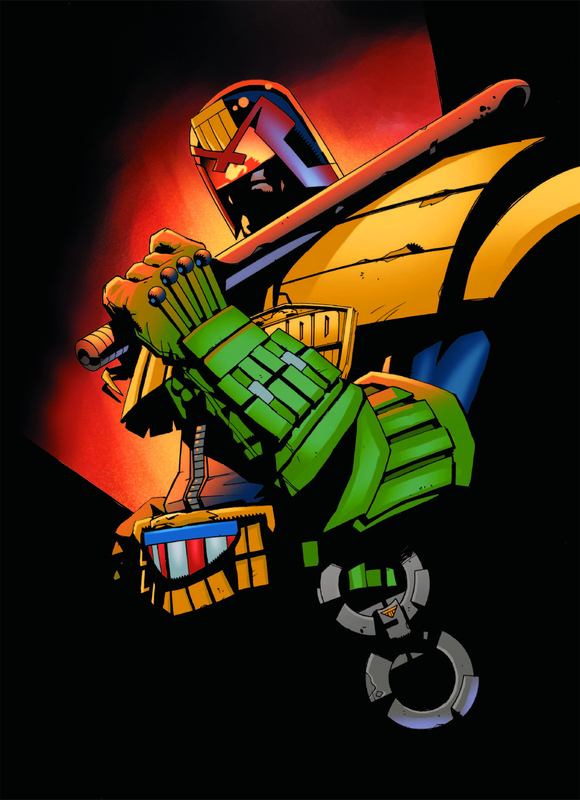 Judge Dredd. Photo provided by Insight Editions from The Art of Jock. © Mondo Tees, LLC 2016. All rights reserved. 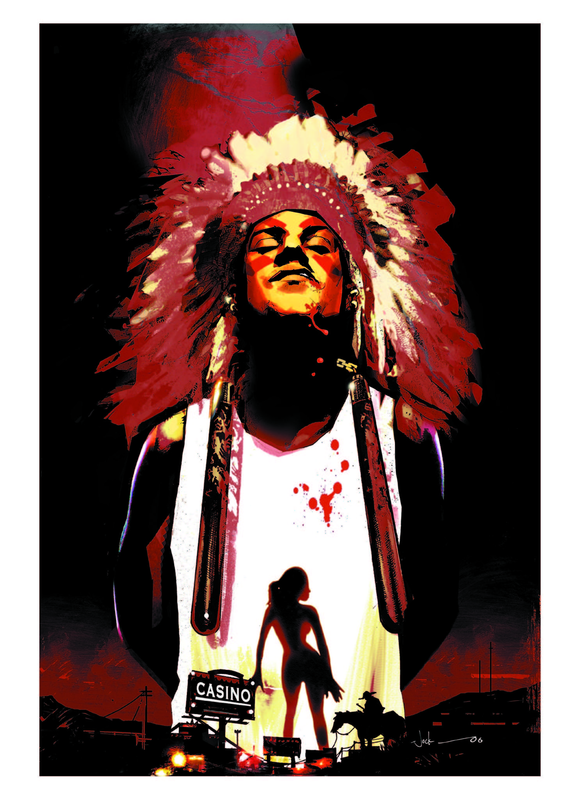 Cover art for Vertigo Comic's "Scalped". Photo provided by Insight Editions from The Art of Jock. © Mondo Tees, LLC 2016. All rights reserved. 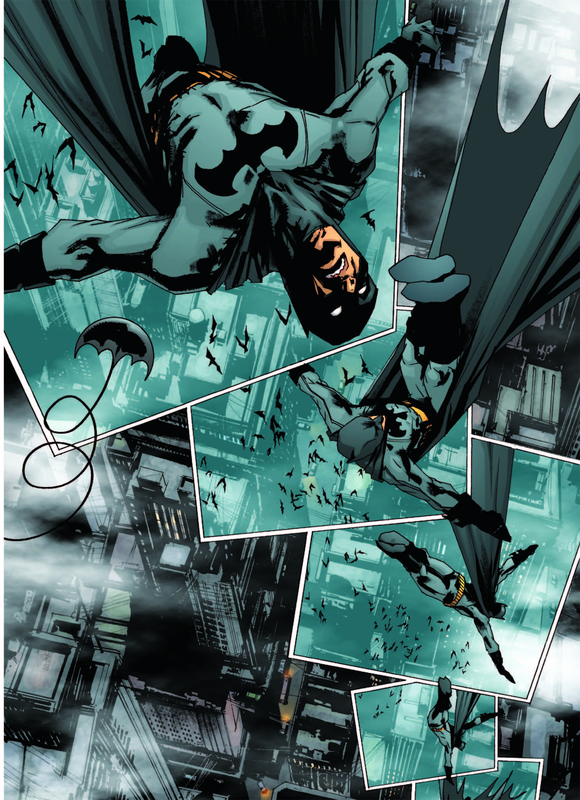 Unlettered art from "Batman: The Black Mirror". Photo provided by Insight Editions from The Art of Jock. © Mondo Tees, LLC 2016. All rights reserved. 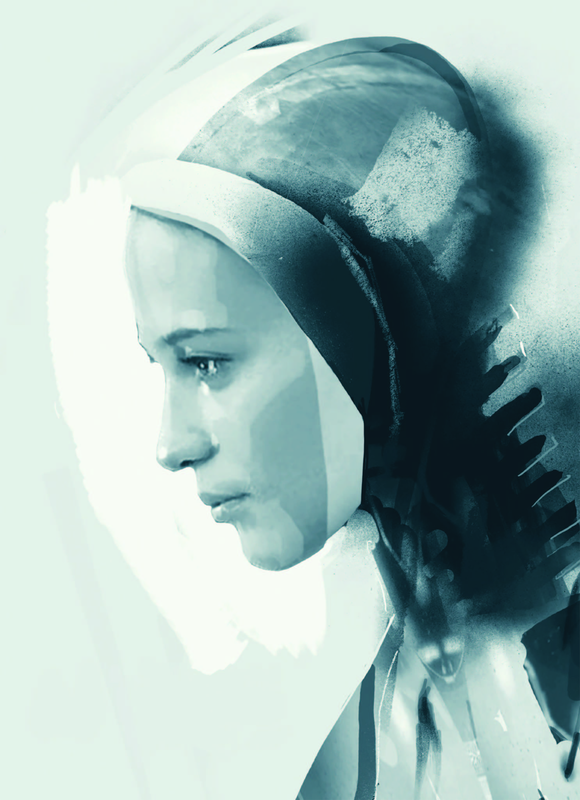 Concept art from Jock's work on "Ex Machina". Photo provided by Insight Editions from The Art of Jock. © Mondo Tees, LLC 2016. All rights reserved. The Art of Jock is out tomorrow.